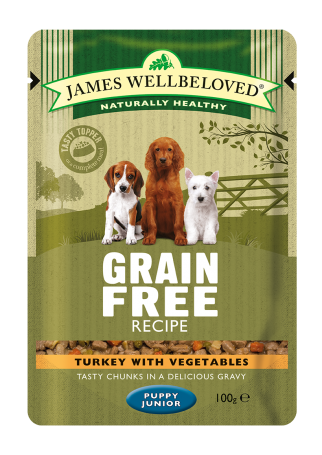 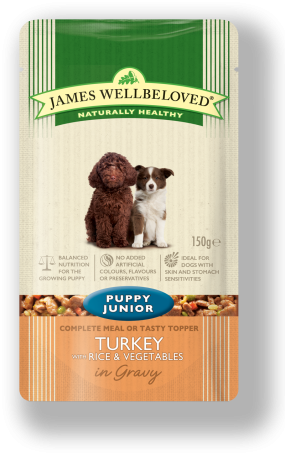 Carefully crafted and nutritionally balanced complete wet dog food for the health and wellbeing of puppy/junior dogs from 8 weeks. 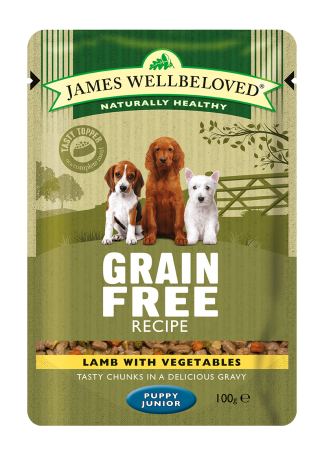 Additives per kg: Vitamins: E671/Vitamin D3 (147 iu) Trace elements: E1/iron (2.1mg), E2/iodine (0.08mg), E4/copper (6.8mg), E5/manganese (1.2mg), E6/zinc (46mg). Dog enjoys it as a topping.